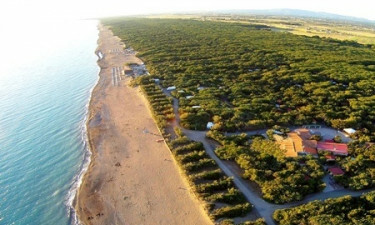 Set on the stunning Etruscan coast, Le Esperidi is a charming campsite that boasts a huge range of facilities and activities for the whole family. Children, in particular, are catered for here with a special village packed with activities, while a stunning sandy beach is just a short stroll away. Book your holiday through LuxCamp with ease. This part of Tuscany is just waiting to be explored by guests at Le Espiridi and special adventure tours are organised by staff, while cycling along the coastline is a great way to experience the area. Those who want to experience a true luxury camping experience can also indulge in a range of spa treatments at the onsite wellness centre. 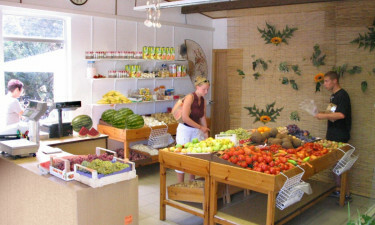 Why choose Camping Le Esperidi? 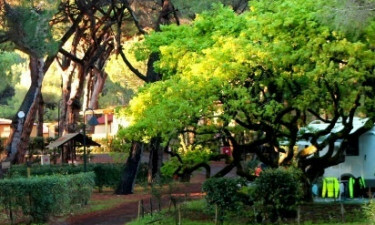 The water village at Le Espiridi boasts plenty of space for the whole family to play. Children are sure to love the waterslides and wading pool. After checking into their modern mobile home, families are sure to want to take a walk down to the beach to spend time soaking up the sun on the sand. Marina di Bibbona is a blue flag beach that is lined with sand dunes and juniper trees and this is the perfect place to unwind in style.